Summer breezes are blowing in, and it is time to take off your socks and chill. 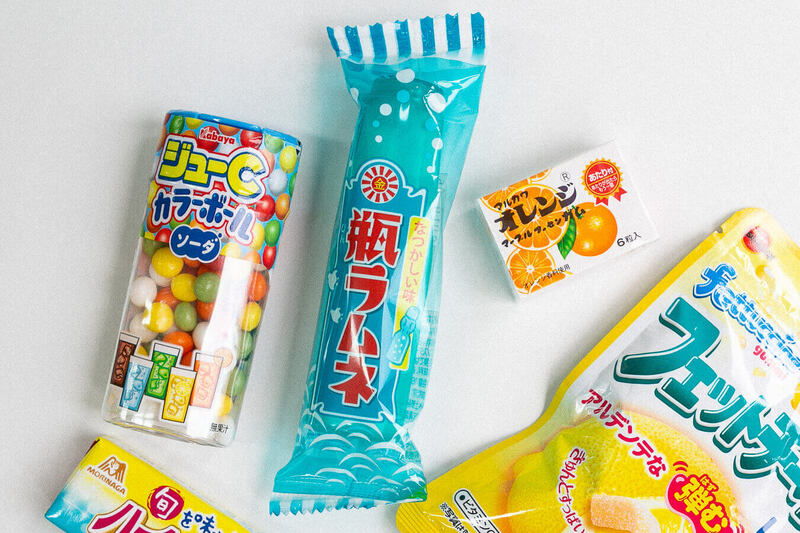 July’s Sweets Pack was filled with summery flavors of pineapple, coconut, mint, citrus, and soda. Summer in Japan can be sweltering, but it’s all good as long as you are feeling chill in your soul. Are you ready to get transported to a happy place? Now, let’s begin! The first thing to introduce is Poop Chocolate. P...what?? You read it right. See what cute animals do. Japanese candy manufacturers are creative but sometimes odd. Don’t worry, the balls are nothing but sweet chocolates flavored like grapes. 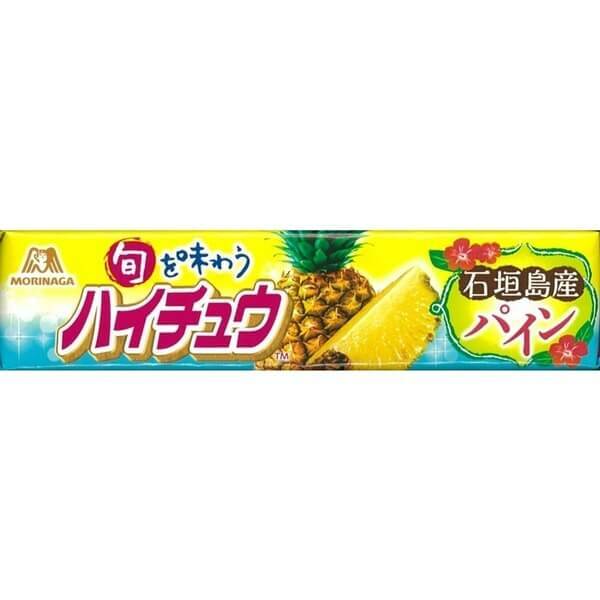 Next one is Ishigaki Island Pineapple Hi-Chew. It’s infused with a rich authentic flavor of pineapple of Ishigaki Island, Okinawa. You can feel a hint of sour behind the sweetness with a pleasant aftertaste. Tropical summer flavor, nice to have in the summer. Puchitto Soda are little candy balls flavored like soda. You can detach the “soda bubbles” one by one to eat them separately. If you are lucky enough, you’ll get fish shaped ones too. Summer is a colorful season, and here, you got Juice-C Color Balls. 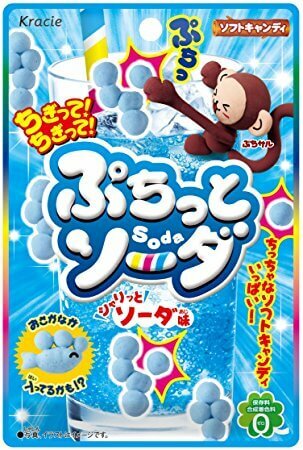 They are colorful sugar-coated candies flavored like five kinds of fizzy drink; cola, soda, melon soda, lemon soda, and orange soda. Can you tell which color has which flavor? The good thing about this is that it comes in a container with a reusable lid so that you can bring and crunch it wherever you go. Orange Marble Gum is another ball-shaped candy. It’s a kind of bubble gum designed to be blown out of the mouth. How big can you make it? Ramune Bottle makes you feel cool. Ramune candies come in an iconic (plastic) Codd-neck bottle. Just put the blue bottle on the desk, and your work/study time will be more bearable. 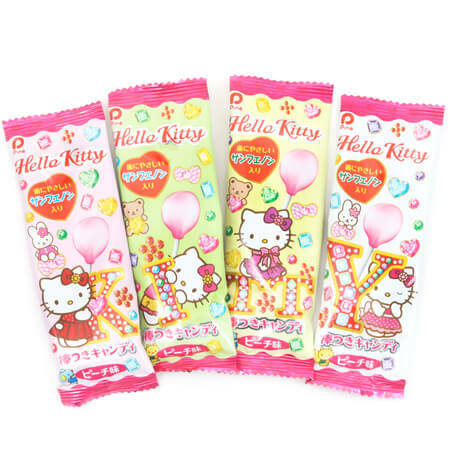 Hello Kitty Peach Lolly is a peach-flavored lollipop coming in a lovely Hello Kitty packaging. The cuteness makes your candy time even more enjoyable. We’ve seen candies so far, now let’s move on to something more crunchy and crispy. 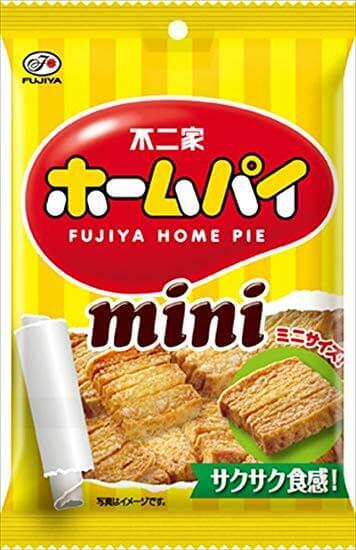 Mini Home Pie is a super crunchy pie with 700 layers. Specially selected mineral water of Mt. Fuji also contributes to the simple deliciousness. 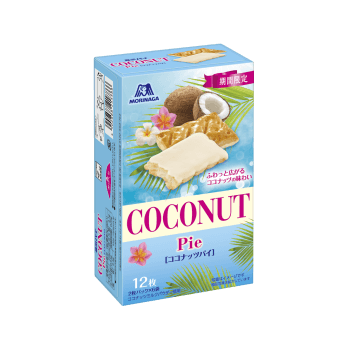 Another pie in this pack is Coconut Pie. The mildly sweet coconut flavor boosts your summer vibes. The toasty, crispy pies are coated with milky coconut chocolate cream. Exclusive to the summer season! Did you fully enjoy the limited chance of having this treat? Next summery flavor is chocolate mint! Caramel Corn Chocolate Mint is a limited version of Caramel Corn, a popular corn puff snack brand. The light, crispy texture of the corn puffs goes well with the mint scent, much better than you’d expect. As usual, ZenPop Sweets Pack is not only sweet but also salty and savory. 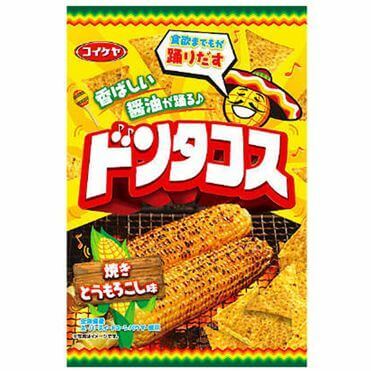 Grilled Corn Don Tacos Chips taste exactly like a savory and slightly sweet grilled corn with soy sauce glaze. A perfect snack for a summer afternoon. Or, why don’t you make a delicious taco salad to eat a good bowlful of vegetables? Karu Jaga Umashio are non-fried crispy potato sticks. The shape makes it more fun and easier to munch on. Lightly salted so you can taste the natural flavor of potato. 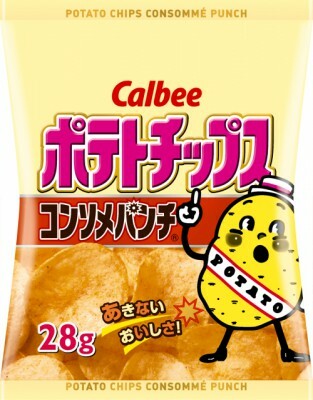 Have you ever tasted “salad-flavored” snacks? There are lots of “salad-flavored” products in Japanese snack market, but you should not expect something like healthy fresh vegetables. 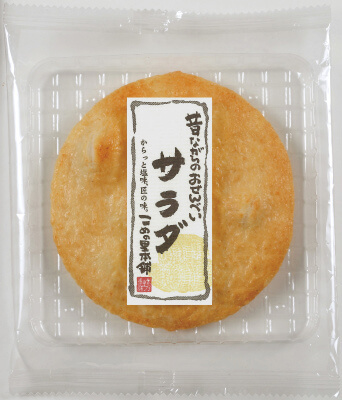 This Salad Senbei is simply a nice and savory senbei that makes you full with its big size. Potato Chips Consomme Punch has a stronger meaty umami flavor. Are you ready to get “punched” with the rich, strong flavor? Thick chips are nice but thin ones like these are also great. Oops, we have one more sweet candy here! Are you interested in trying gummies “al dente”? 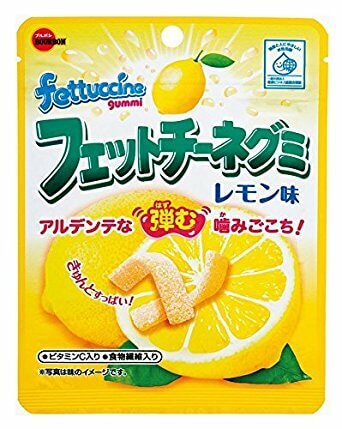 Lemon Fettuccine are chewy gummy candies that look and feel a bit like Italian fettuccine al dente but have a sour lemon flavor. Coated with powder, which adds additional sourness. That’s it for this month’s ZenPop Sweets Pack. How did you like it? Which snack did you like the best? Share your comments and pictures on Instagram, Twitter, or Facebook. We’d love to share your posts on our page too!